I am really enjoying this months challenges I have found so far. Having 2 boys, I love the scrap the boys challenge a lot. I can always find inspiration there. This month was a mood board challenge. This mood board made me think of the beach, and I had the most perfect picture in mind. When I saw this mood board this pattern paper came to mind. I really wanted to use it, but I didn't want to alter it too much or distract from it. It was too perfect. So I decided to layer embellishments, definantly a lot more then I normally do, but like I said I didn't want to take too much away from the water look of the paper, and I wasn't really sure what else to add. So this is what I ended up with. 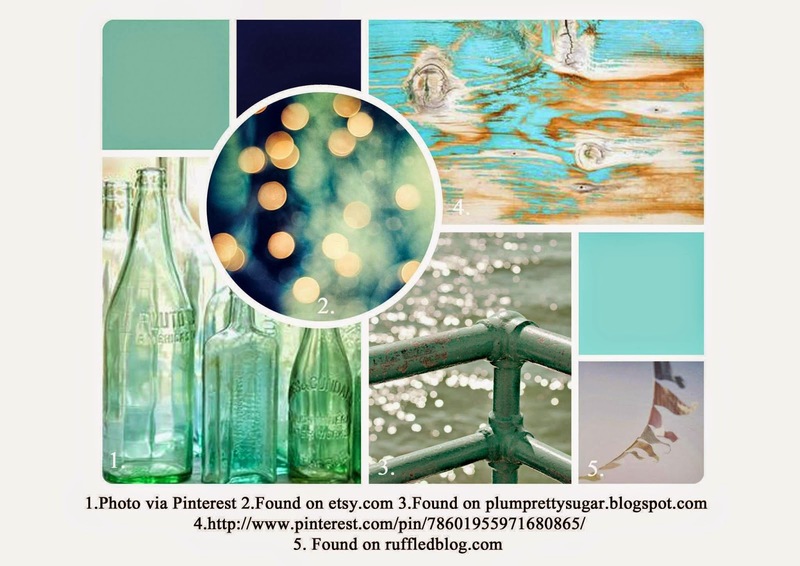 What a perfect take on the mood board, love the background. Thanks for playing along with Scrap the boys. Love that background paper, so perfect for the photo! Fabulous page and great take on the mood board! Thanks for joining us this month at STB. How cool is that water paper! so perfect for the pic! Thanks for joining in at STB!